History, as Winston Churchill famously predicted, has been good to him. His exalted place in the 20th century annals has been cemented through his Noble Prize-winning memoir, A History of the Second World War. In this audiobook version of the four-volume, 45-hour memoir, British actor Christian Rodska conveys the triumphs and tragedies of WW II with a voice as august and buoyant as we know Churchill's to have been. 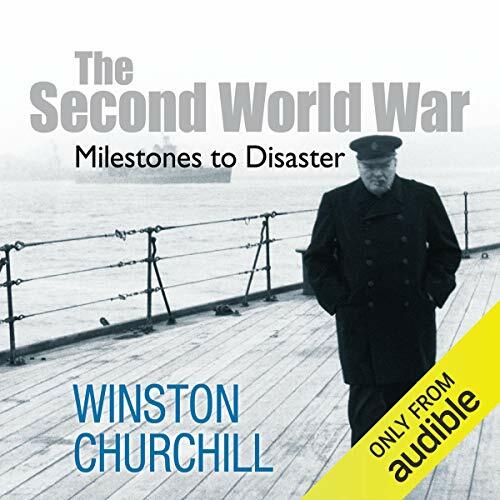 Consistently riveting and rich in historical insight, Churchill's memoir puts the listener in intimate audience with the powerful oration and defiant eloquence with which Churchill led a continent through its darkest hour. ©1959 Cassell and Co. Ltd; 1990 the Esate of Winston Churchill (P)2014 Audible, Inc.
What a gift Winston Churchill has given his and future generations. This is an absolutely unique perspective on World War II. Not only was Churchill in the middle of all major decisions made in Great Britain during the war (and was aware of most of the pre-war decisions), he also has a keen sense of history and perspective that only a few historians possess. He also has a mastery of the English language and a sublime wit that brings this already compelling story to life. As far as this volume (1 of 3 published, 1 to go - hopefully) it is absolutely remarkable the sheer number of opportunities there were to prevent/delay this conflict that were missed or explicitly ignored. 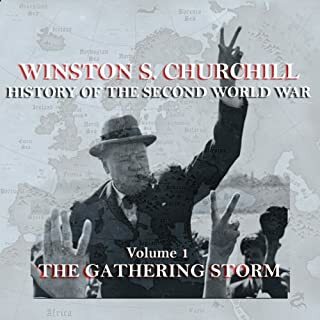 In the beginning of this volume, Churchill declares WWII should have been named "The Unnecessary War" and it is hard to argue with his thesis. But his insight into this entire process is terrific. I highly recommend this set of books for anyone interested in the War or a remarkable view into a great leader in a trying time. Finally, just a quick note on abridgment. 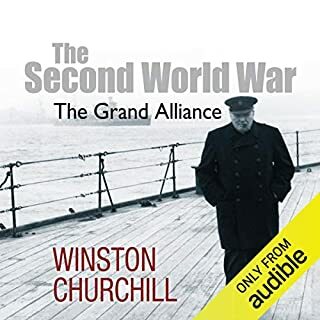 It is true this is an unabridged audio book of the first of four volumes, but the four volumes are a textual abridgment of Churchill's original set of six volumes (but at least Churchill was apparently the one who did that abridgement). I have the original set of six and I am able to follow along with the audiobook. I end up reading the sections that were left out in the evenings and to me they are very interesting. Those sections left out are insightful and do add to the overall tapestry of the story. It does not make this version any less worthwhile, though. As others have noted, the narrator sounds like Churchill (or at least like I imagine Churchill would sound like) which adds to the overall experience. An amazing insight into the circumstances that led to the WWII. Churchill is the ultimate wordsmith and this book is beautifully read. If you are interested in the war then this is an excellent purchase. I often had the feeling that I was listening to a narration by Churchill himself. I'm not sure if this is an excellent imitation or if it is the way the narrator usually speaks. The narrator does a great job of bringing the man (and his words) alive. He also switches voices very effectively for other characters (such as Chamberlain and Baldwin). This book mostly focuses on the politics that led Britain and France to do little to stop Hitler from mobilizing Germany for war. It is a fascinating inside view. Exquisite, awe-inspiring. A new favorite. This audiobook repaid many experimental purchases which have proven unworthy. It is majestic, insightful, and wonderfully autobiographical. 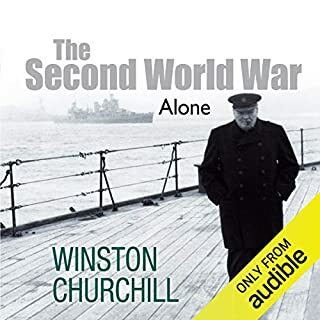 Winston Churchill recounts the pre-war years from a vantage near (but not at) the top, and as an influential leader with many burdens and cares, his intimations of fear and regret are very moving. There is a reason he was voted #1 in the BBC's "100 Greatest Britons" in 2002, above Shakespeare, Newton and Darwin, and it is a treat to listen, wrapped, as if seated with the great man as he recounts his celebrated exploits first-hand. Churchill's prose is often muscular and warlike, as was the man himself, despite his pinched voice and stature. Thus I think Christian Rodska has done a better job of narrating this work than the author could have. Who needs fiction with such grand history? As Churchill's closing lines declare, "Facts are better than dreams." You will be intrigued, frightened, inspired. You will get chills. Winston Churchill says in his Prologue that this book is not history--"that is for future generations"--but he is confident (and this man is nothing if not confident) that historians will find his accounts useful. An understatement. The narrative fully supports the old adages that "hindsight is 20-20" and "history is written by the victors." That said, it is a stunning experience, a unique you-are-there account of the 1930s into which are immersed. We experience the growing sense of helpless dread as the decade progresses and Hitler becomes stronger, the leaders of depression-ravaged Europe contort themselves in denial, and war becomes inevitable. History aside, this book is a literary masterpiece. Churchill's breadth of mind and stunning command of English prose is brought to vivid life by Christian Rodska. The sound-byte darlings and intellectual midgets of today's political scene need to sit back, listen, and maybe even learn. There are few interpretive surprises here; published three years after the peace, Churchill's multi-volume war memoirs are the first draft of the story, a uniquely authoritative secondary source which historians have quoted or critiqued ever since. Nor are there many revelations. The author being out of office, German rearmament, Allied spinelessness, the Rhineland, Austrian, Sudetenland and Czechoslovakian crises are all described from the outside, and from a perspective familiar to anyone familiar with WSC. Yet Churchill’s position outside the inner circle didn’t leave him completely out of action. Soviet ambassador Ivan Maisky, for example, approached him with plans for British-Franco-Soviet cooperation against Germany, plans he felt would be rebuffed in the official channels (as they subsequently were). Christian Rodska serves it all up magnificently. It’s hard to read Churchill’s prose out loud without sounding like Churchill. Fortunately, our narrator doesn’t fight the inevitable. If you want an unbiased history of the build-up to World War II, look elsewhere. 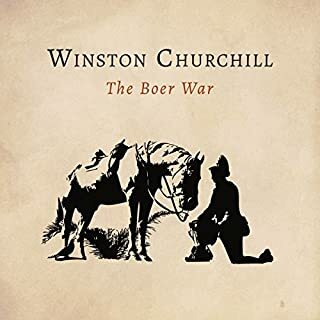 This book is Winston Churchill's interpretation of the momentous events culminating in his coming to power in the early stages of the conflict. But it is all the more interesting because it tells the story from his personal perspective. He is never shy of pointing out, time and time again, how his political colleagues could have avoided or delayed the war by standing up to Hitler. After the devastation of World War One the political climate in Britain was dominated by a desire for peace, and successive British governments stood back and watched while Hitler built a powerful military machine, a policy of appeasement which Churchill opposed vocally and consistently for many years. When Hitler invaded Belgium and Holland, the folly of the appeasers became undeniable and they stood down, making way for the one man who was ready for the fight. Churchill's command of the English language is, of course, legendary. His radio speeches stirred and galvanized the British people and motivated them to make the necessary sacrifices in Britain's darkest hour. Although the subject of this story is a sombre one, it is a joy to hear it told in Churchill's own words. It's one thing to read about WW2 from a historian, it's altogether different to hear it directly from one of the major players. It gave me new insight that I hadn't gathered from other books on the topic. The narration is also fantastic. My only complaint is that I didn't realize this was the first of 4 parts when I bought it. It only leads up to the beginning of the war. I would like to have paid 2 credits for all 4 books together rather than having to buy each one separately. That having been said, I probably will end up buying the other three books. This is a great read (listen). The Narrator, besides being excellent sounds exactly like Churchill!!! Winston Churchill was a master wordsmith so combine the great narration with one of the best authors in history and you have a 5 star book. 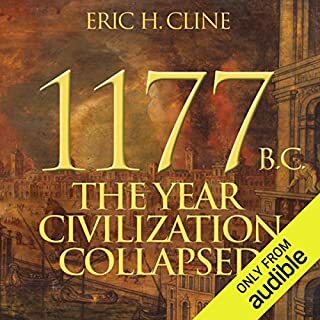 History buffs this is a must... can't wait to listen to Book #2 "Alone". This is an account of WW-II from perhaps the most authoritative and articulate of witnesses. I was always sorry when I had to interrupt my listening to this classic. Few books I have listened to are so unceasingly compelling and as important in their subject matter. As a writer Churchill hardly needs either introduction or testament to his eloquence and fervor. Anyone unfamiliar with this work will be awed by his vision. Whether one agrees or not with Churchill's judgment, the experience of sharing his consciousness and his prose is an astonishing one. More than most selections this is a set of books to pass on from one generation to the next or from one connoisseur to another. The reading of these volumes is also nonpareil. Throughout I am convinced that I am listening to Churchill himself.